Here they are — the first morels! (I always want to sing that to the tune of The First Noel.) 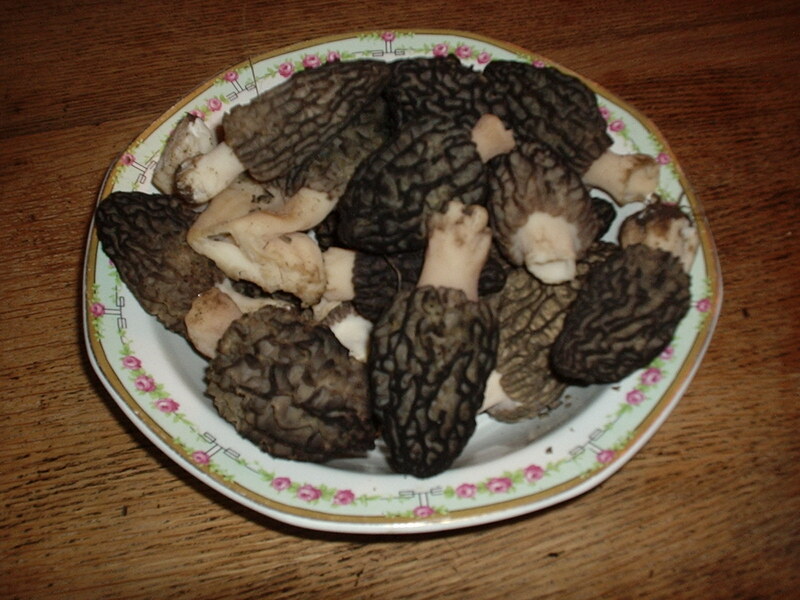 The Carpenter and I had a great time this weekend finding morels up behind his cabin — mushroom hunting is SO MUCH FUN! I get SO excited when I see one sticking up out of the duff (he laughed at me as I splashed through the irrigation ditch in my haste to get to a patch of three on the far side). Saturday night we had morels sauteed in butter with onions and garlic over steak, and last night I made a baked macaroni and cheese with morels. And there are more out there — it’s been intermittently rainy and sunny for a week or so, and we haven’t had any snow in almost a week. Spring! Morels! Delicious delicious mushrooms out there waiting to be found — like presents from the universe. as an ex-resident of Franve where they know how appreciate their fungi, all I can say is that I am green with envy!